Today I received an awesome surprise. It’s no secret I’m Catholic and am a strong believer in the intercession of the Saints. St Jude is my go to Saint always. The Saint for impossible/hopeless cases. Last year I met a homeless man named James. We became friends. I wrote about James on one of my blogs. I met James last year around thanksgiving time in front of the Safeway downstairs where I was living in San Francisco. James was fighting bone cancer. My heart went out to him. He was so nice and in so much pain. One day I went downstairs. James was at his usual spot. He was very sick that day. He was recovering from one of his chemo treatments. He broke my heart. I sat down w James that day and together we prayed. 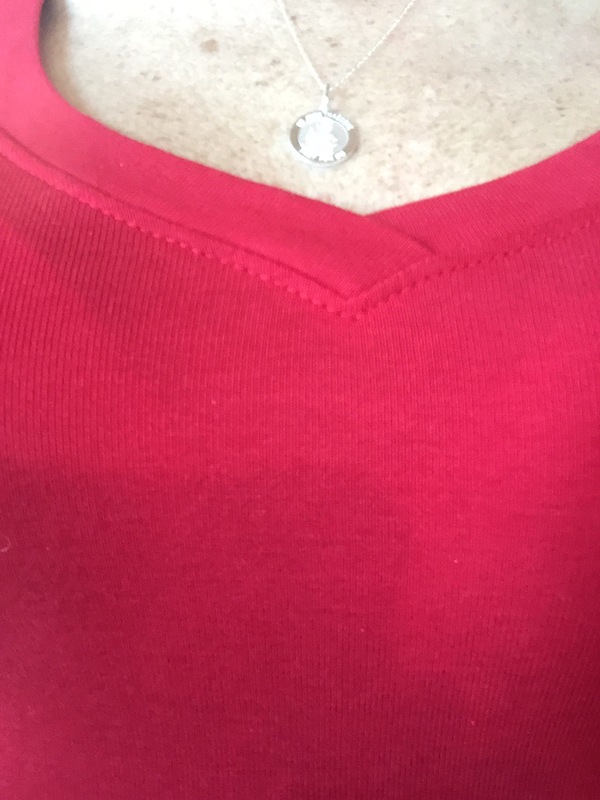 I was wearing my beautiful, silver and gold St Jude necklace that meant so much to me. He was so hopeless that day and in so much pain, I took off my necklace and gave it to him. He needed hope more than I did. I told James that my prayer was that St Jude would intercede for him praying he would be healed and I prayed the lord would bless him w abundance and w a place to call home. He was so touched. He began to cry and asked me to put the necklace on him so I did. I cried so much that day when I got home. James’ pain and suffering broke my heart. I ran in to James on many occasions after that and every time I did he would hug me and tell me he wore his necklace every day. He would tell me he’d never forget me. It was our connection. I think of James often hoping and praying he’s well. I also pray I’m able to see him again some day and he will have been blessed with the miracle I’ve prayed so much to happen for him. I thought of James the other day and I even thought of my necklace. I wondered how he was and found myself praying for him. Today I opened my gift from my brother and Mari. 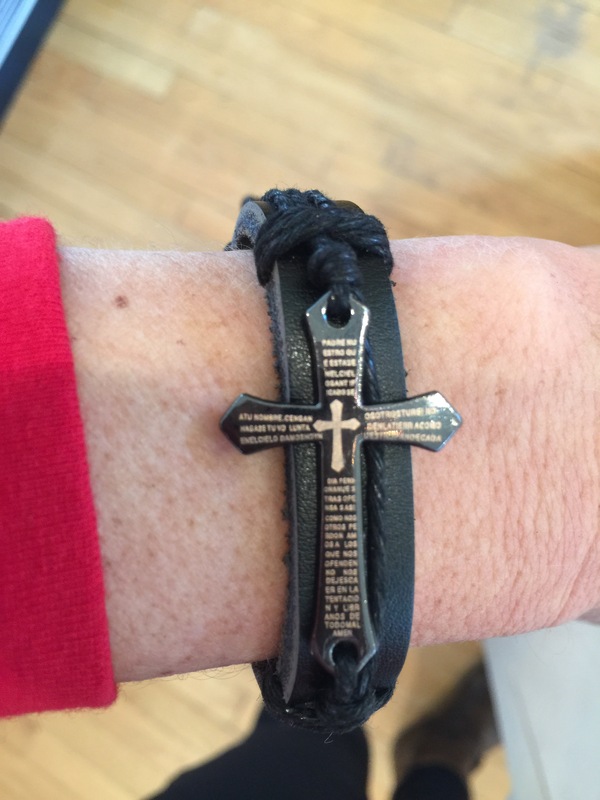 Inside a beautiful, black, velvet satchel was a beautiful bracelet w a cross on top with an inscription all in Latin but even more special was a St Jude necklace. I haven’t wore one since that day I gave mine to James. I haven’t been able to bring myself to replace it. I was so touched by this very special and unexpected gift. It came at a time when I needed hope and guidance the most. I have no idea what prompted Mari and my brother to surprise me with this very special gift but my prayer is that good days are ahead. I also pray it’s St Jude’s way of sending me a sign that not only are things going to be ok with me but all will be ok with my dear friend James. He’s praying for us!! Wherever my friend James is today, I’m sending him a message. “I think of you often and I hope you’re ok. Merry Christmas my friend…..until we meet again”. This entry was tagged book of james, homeless, james, st jude. Bookmark the permalink.